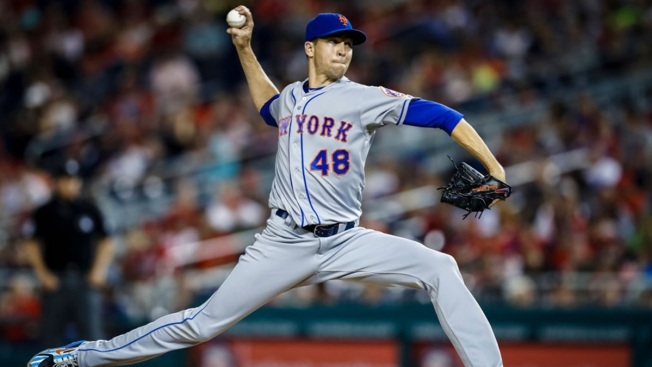 National League Cy Young Award winner Jacob deGrom and the New York Mets agreed to a $17 million, one-year contract, a record raise for an arbitration-eligible player from his $7.4 million salary. The deal was agreed to Friday before the pitcher and team were to exchange proposed salaries in arbitration. It also set a mark for a pitcher eligible for arbitration for the third time. DeGrom led the majors with a 1.70 ERA in 217 innings and was selected to his second All-Star Game. He was fifth in MVP voting after receiving little run support on a fourth-place squad. The right-hander went 10-9 with 269 strikeouts in 32 remarkably consistent starts for a team that finished 77-85. The 30-year-old can become a free agent after the 2020 season if the Mets don't sign their electric ace to a multiyear contract by then.